Anesthesia-free dental procedures are a reality. The ability to work without anesthetic provides benefits for my patients as well as for my practice—the patients have a better experience by not receiving injections and by experiencing a shorter appointment time. In this case I utilized a 9.3μm CO2 all-tissue dental laser (Solea) while I placed two Class II restorations anesthesia-free. I was able to use the laser to assist in the removal of an old amalgam and prepare an adjacent iatrogenically damaged, decayed tooth. The use of the laser reduced the appointment time from what would be approximately 1?hour, 20 minutes with traditional instruments to less than 50 minutes. A 46-year-old patient presented to the practice for his second appointment. 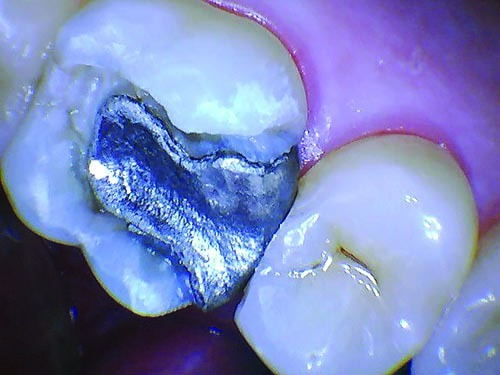 The oral evaluation had revealed an old and failing amalgam on tooth #14 MOBL (Fig.?1). 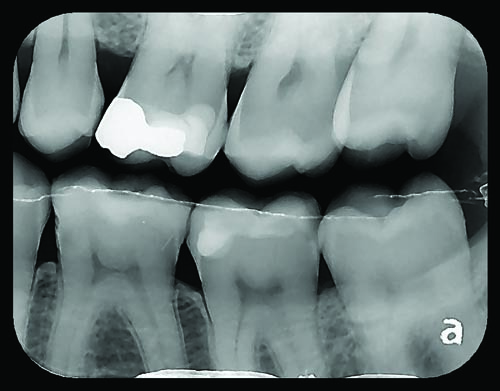 The preoperative radiograph showed that tooth #13 distal had iatrogenic damage and decay (Fig. 2). 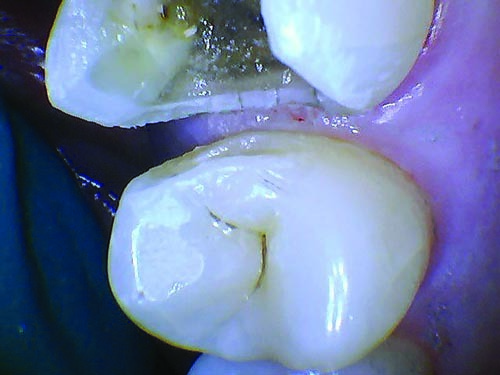 The clinical objective was to remove the amalgam and recurrent decay on #14 and decay on #13 and restore both teeth. The treatment was completed using an all-tissue laser and a high-speed handpiece, all without anesthesia. I began the treatment by removing the failing amalgam restoration on tooth #14. 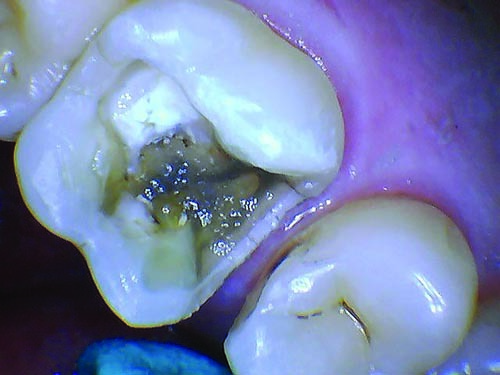 No anesthetic was required; the laser was used to trough around the amalgam and outline the preparation (Fig. 3, p. 32). 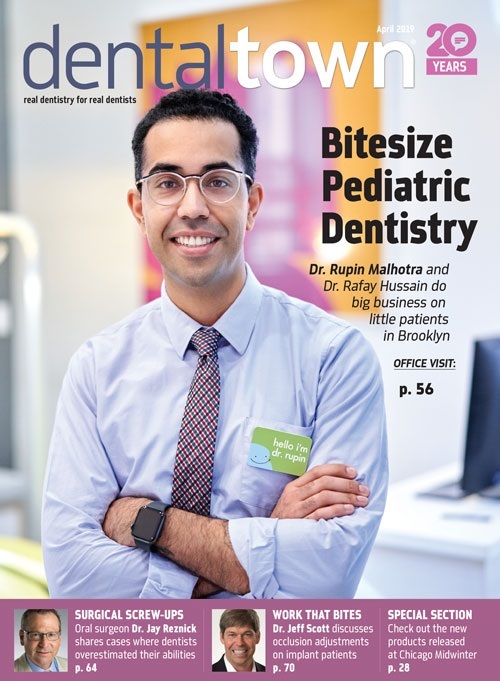 The 0.75mm spot size and a cutting speed between 50 percent and 60 percent, with 100 percent mist, were used to ablate enamel at the cavosurface margins until the dentin was reached. 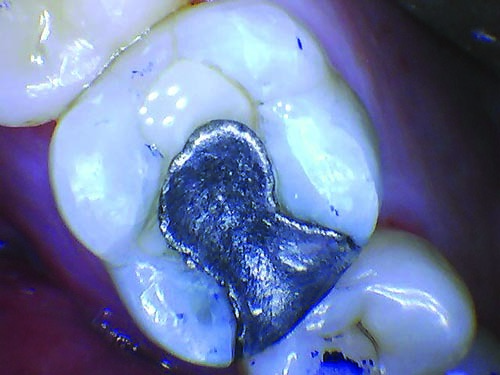 Once the troughing was completed, the amalgam was sectioned and removed with a KaVo electric high-speed handpiece and a NeoDiamond Amalgam Buster bur (Fig. 4). 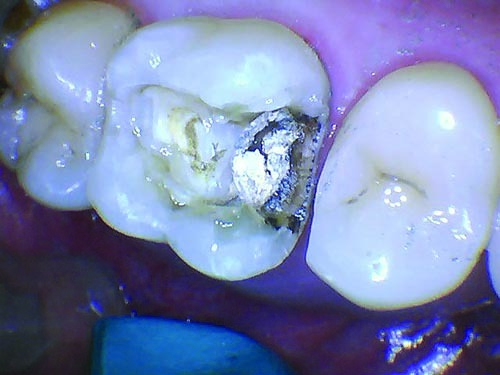 Notably, the amalgam could be removed without anesthetic because of the analgesic effect established when using the laser. Decay was then removed and the preparation was completed using the laser’s 1mm spot size and a cutting speed between 30?percent and 40 percent, with 100 percent mist (Fig. 5). I then worked on the adjacent tooth #13 without anesthetic and removed the decay with the laser. The cavosurface margins of both teeth were beveled with a Premier Two Striper TS2000 diamond bur—again, without the need for anesthetic. Composi-Tight bands from Garrison Dental and FlexiWedge wedges from Commonsense Dental were placed, and the teeth were restored with Adper Prompt L-Pop from 3M, and SureFil SDR Flow+ and TPH Spectra HV, both from Dentsply Sirona. 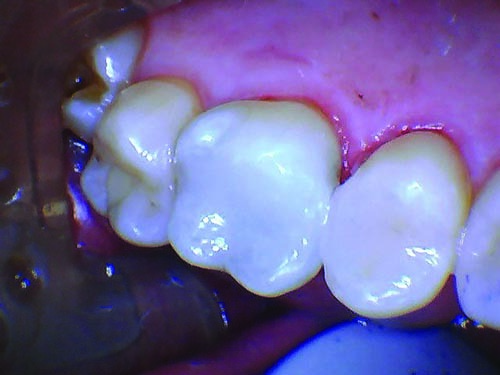 The patient’s occlusion was easily adjusted as the patient wasn’t numb, which avoided a potential follow-up appointment for a bite adjustment (Figs. 6 and 7). The total procedure time, from start to finish, took less than 50 minutes. The restoration of these teeth was incredibly precise. The patient was excited to have both teeth restored in a little more than 45?minutes, so he could get back to work. He was also happy to avoid the injection and hours of numbness afterward. Minimal use of the high-speed handpiece also makes for a more pleasant patient experience. Using a laser enables me to see more patients per day and perform more procedures in one visit, which increases my practice productivity. It also makes my job easier as there is less stress on me and the patient. 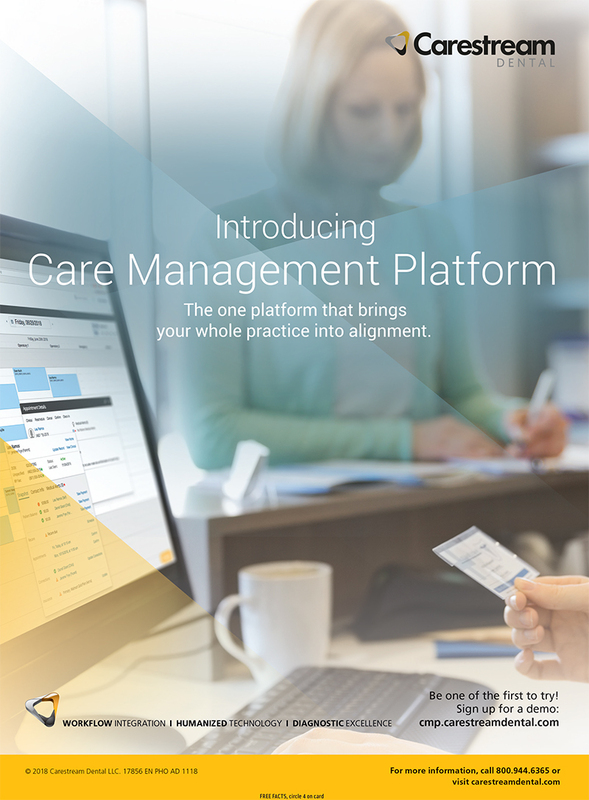 More importantly, it allows me to deliver the best dentistry that I can to happier patients. 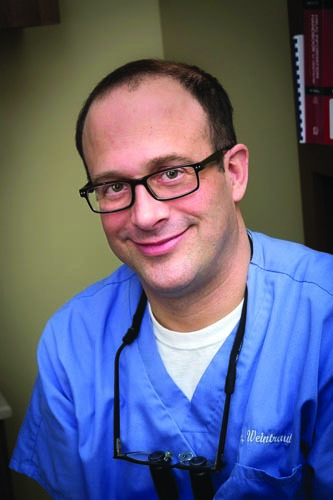 Joshua P. Weintraub, DDS, is a 1996 graduate of the University of Maryland Dental School. 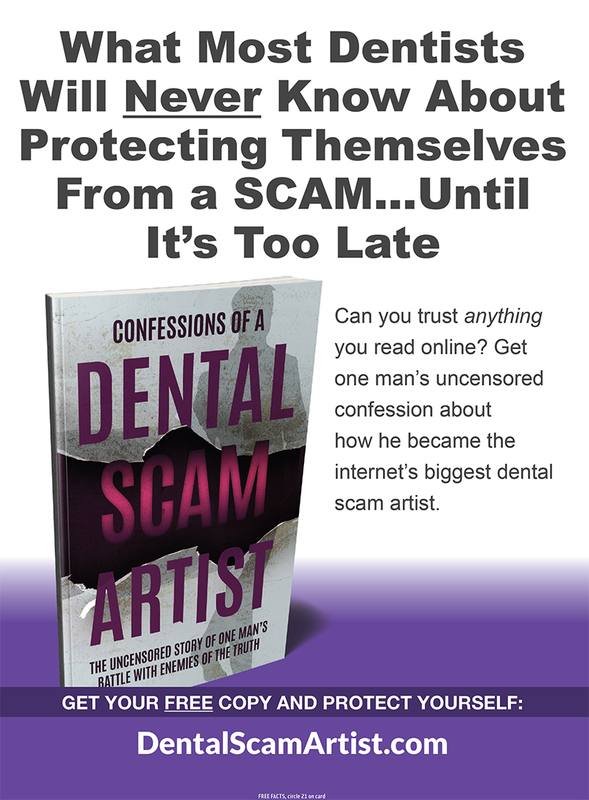 He began his dental career in the U.S. Navy Dental Corps as a lieutenant in Okinawa, Japan, followed by the Navy Yard in Washington, D.C. He entered private practice in 1999 and has used dental lasers since 2008, including erbium and Nd:YAG. 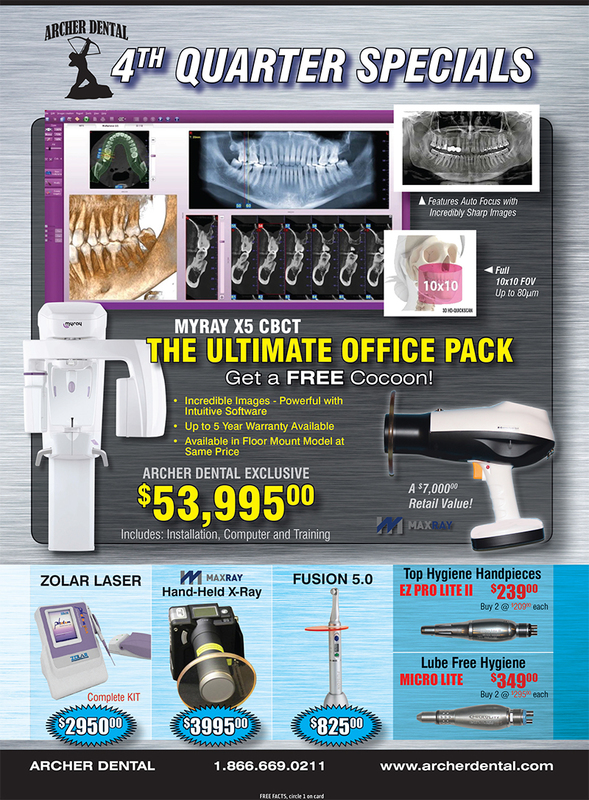 He currently uses a CO2 9.3 µm laser (Solea, Convergent Dental) in his practice and is an international lecturer.